Even the ‘case-hardened’ prosecutor was reduced to tears. 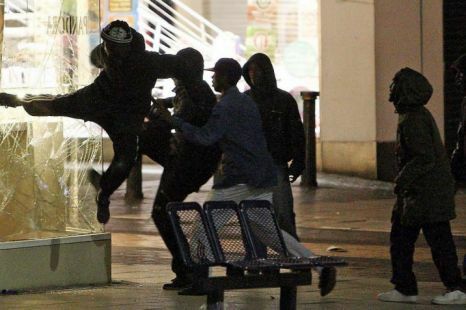 A 17-year-old A-level student – who had never been in any trouble before – had just been given 18 months in Feltham Young Offenders Institution for looting during the August riots. The boy, who hoped to go to university, had gone into a café in Ealing, where he picked up two bottles of wine, and a T-shirt, all of which he gave away immediately. He was utterly ashamed of his actions and admitted that he had got carried away in the moment and, at the time, thought it was all a bit of a joke. His parents, respectable, hard-working folk, took a different view: when they found out the following day, they took him straight to the police station, taking the clothes he had been wearing. In court, both parents pleaded with the judge to spare their son from custody, and it’s hard to imagine their feelings when she imposed a lengthy custodial sentence. The judge told him that, were it not for the fact he handed himself in, his sentence would have been two years. She later saw the boy carted off in a prison van alongside one of her more regular customers, a member of the notorious ‘Murder Dem Pussies’ gang. The latter was, she says, ‘a serious, serious offender with a book of convictions’, and fairly typical of the young men the 17-year-old will be rubbing shoulders with during his sentence. No doubt, the parents had thought by turning their son in, they were doing the right thing; that if he owned up immediately, somehow everything would be all right. No doubt, they assumed his punishment would be tempered with mercy, not least because of his youth, previous good behaviour and genuine remorse. As a mother of a son of similar age to the lad sent to Feltham, I am haunted by the image of his well-meaning parents marching their son off to the police station to face the music. It haunts me because, I would have been that parent. If that had been my son, I, too, would have had him at the police station first thing the next morning to own up to what he’d done. But not any more. If these severe sentences are intended to act as a deterrent, they are certainly effective, although probably not in the way the courts expected. They would certainly deter me from turning anyone in – and I suspect may have a similar effect on other people, which may hamper police efforts to identify rioters and looters by trawling through hours of CCTV footage. These sentences would also deter me from having faith in the justice system’s capacity to deal humanely with foolish but fundamentally decent teenagers who got carried away in the madness of last August. My blunt advice now to anyone inclined to turn in a child would be: don’t. Don’t own up; don’t go to the police. Keep your head down, and pray the police don’t call. If police do come knocking, get yourself a good solicitor, and in the meantime admit nothing. As one defence solicitor says, while parents with no previous involvement with the criminal justice system assume their wayward offspring will be in for ‘a good bollocking’ from the police, those guilty of even the most minor offences are likely to face months in a YOI. Whereas previously, his standard advice to clients in this situation would be turn yourself in immediately, in order to get maximum credit from the court for an early admission, now it would be to sit tight and hope for the best. Another lawyer whose firm has handled many riot cases for adults and youths says that some juries are now acquitting defendants facing minor charges – in the face of strong evidence – and speculates this is because jurors know the sentences imposed if found guilty will be harsh. ‘Let’s just say, we’ve had some very good results for our clients,’ he says. It’s not just defence lawyers and prosecutors who are concerned at the severity of the sentences. With police investigations continuing, one youth court sentencer worries that thousands more children – who were never in trouble before the riots and who would be unlikely ever to offend again – will end up in prison, with find their lives and educational chances blighted. For some, the damage caused by a prison sentence may be far worse. 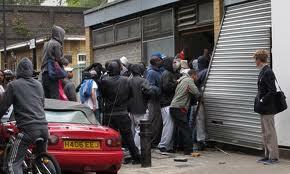 There are already reports of vulnerable young people incarcerated for riot offences attempting to harm themselves. And last week’s suicides of two children who were in YOIs for non-riot related cases – 15 year old Alex Kelly and 17-year-old Jake Hardy – come as a gruesome reminder of just how unsafe these places can be. If we get through this episode with no incidents of serious harm, or worse, among children sent to custody for the riots, it will be nothing short of a miracle.